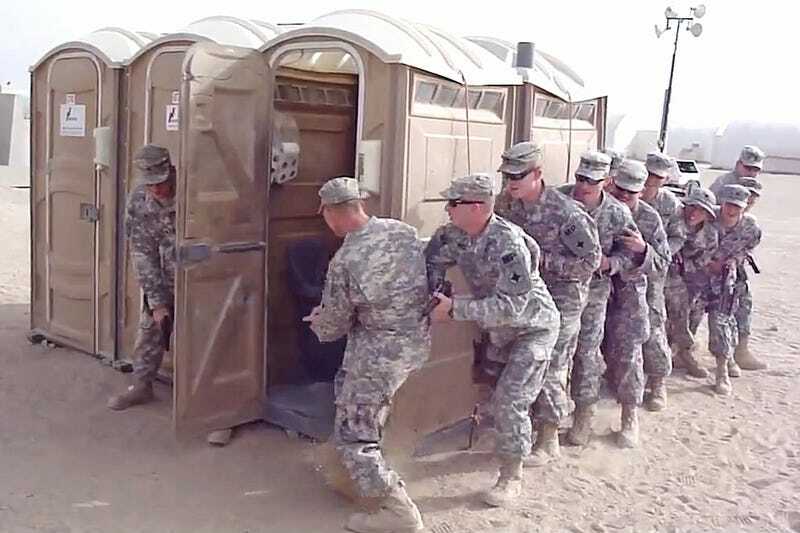 How Many Military Policemen Can You Pile Into A Portable Shitter? The desert is one boring place. From remaking shot-for-shot scenes from the 70s smash musical hit Grease, to seeing how many M9 toting MPs can fit in a port-a-potty, something has to be done to pass the time. So enemies of a America, beware of your next trip to the can as Uncle Sam is well trained and ready to strike you with your drawers down at any moment.